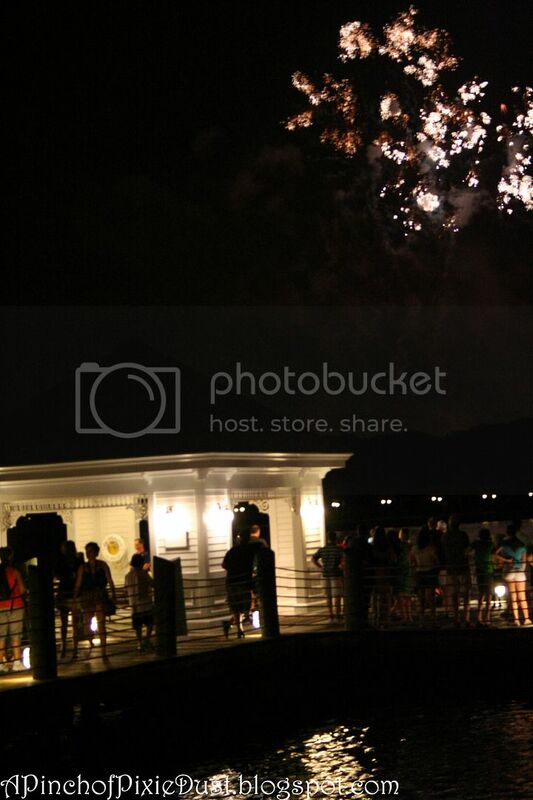 One of the benefits of eating dinner at Narcoossee's is that you can come out to the wrap around porch to watch Wishes. Even if you get a table up against the windows, you might want to make your way out to the porch as there's a better view and people will probably be standing/sitting in front of the windows anyway. Especially when Tinkerbell flies through the sky! Can you see her up there? 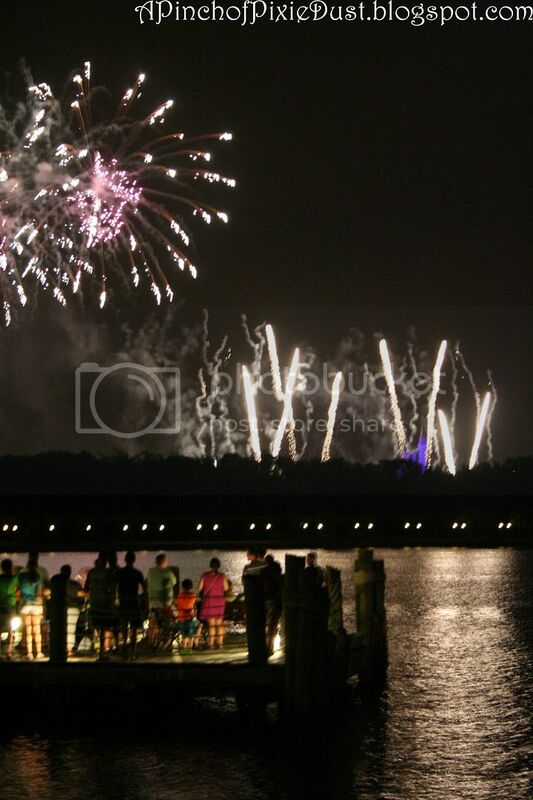 One of the best things about watching Wishes from Narcoossee's is the SOUND. They play the music on the porch, and since it's an enclosed space, it completely fills your ears and surrounds you in such a unique way. The soundtrack with that music and the characters is one of my favorite parts of the show, and here you're completely immersed in it! 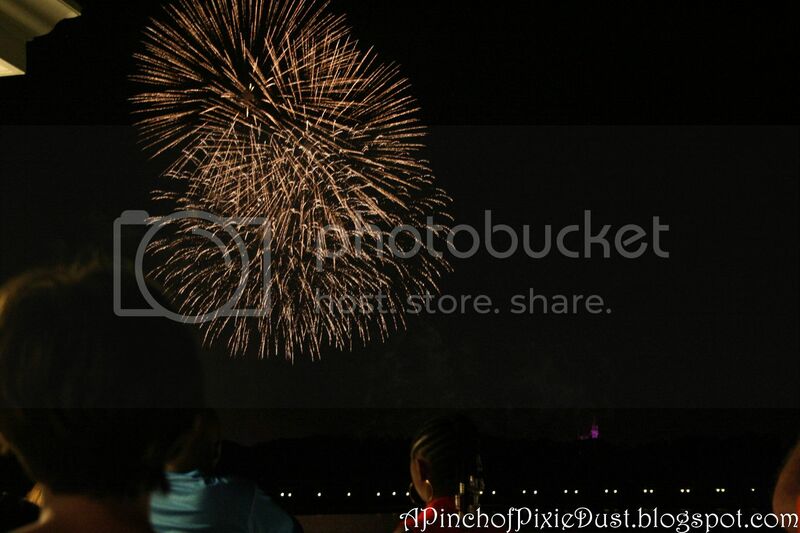 I wish, Oh, I wish I could be part of that world! The boats are still going back and forth in your field of view, but luckily they glide through pretty silently. Can you spot the ninja launch in that pic? 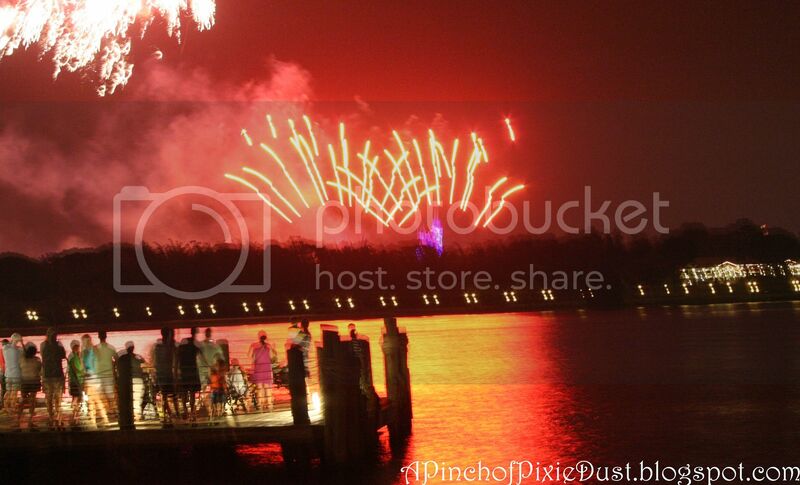 I love the way the fireworks light up the Seven Seas Lagoon...they seem to make a bridge of pixie dust straight across the water to you! The dock seemed pretty packed, and I was curious what the view was like from down there, so I skipped down to have a look. 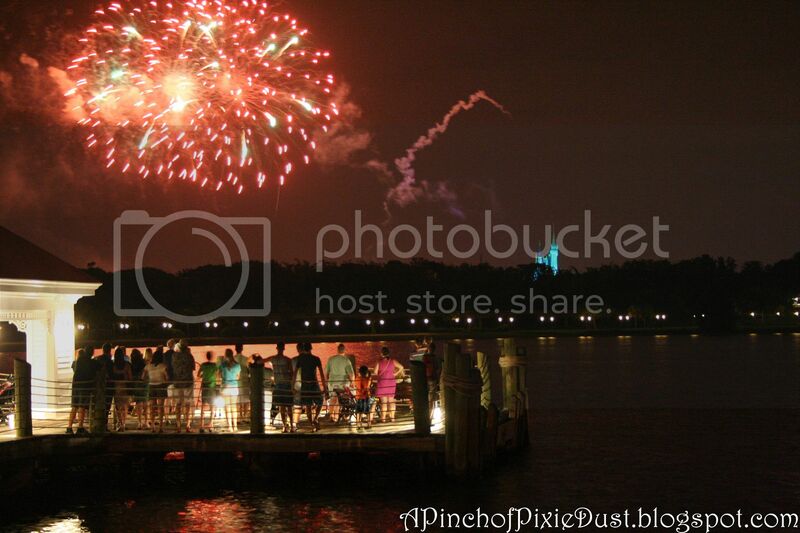 If you're not having dinner at Narcoossee's, there is a little path leading to the porch from the dock area - it's not blocked by a gate or a sign or anything, and you can still hear the music and hear the fireworks from there. I'm fairly certain (correct me if I'm wrong) there was no soundtrack playing on the dock, although you could hear the music a little floating over from Narcoossee's. 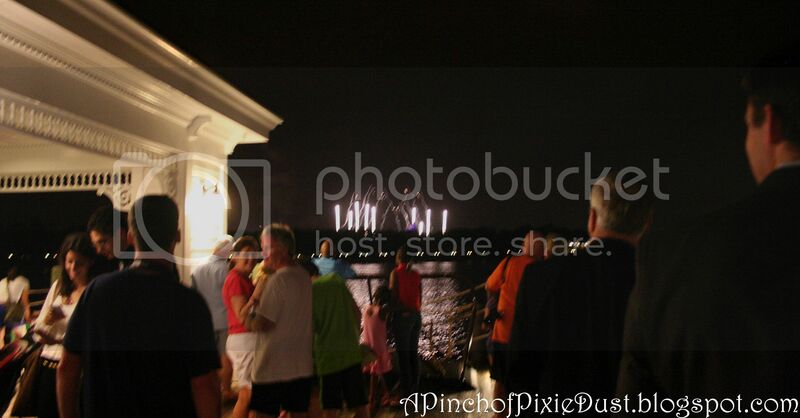 It definitely was loud, with boats unloading, people moving around and talking during the show. Look at the couple on the far left of the photo, the girl taking a picture of her hand. I wonder if they just got engaged?? 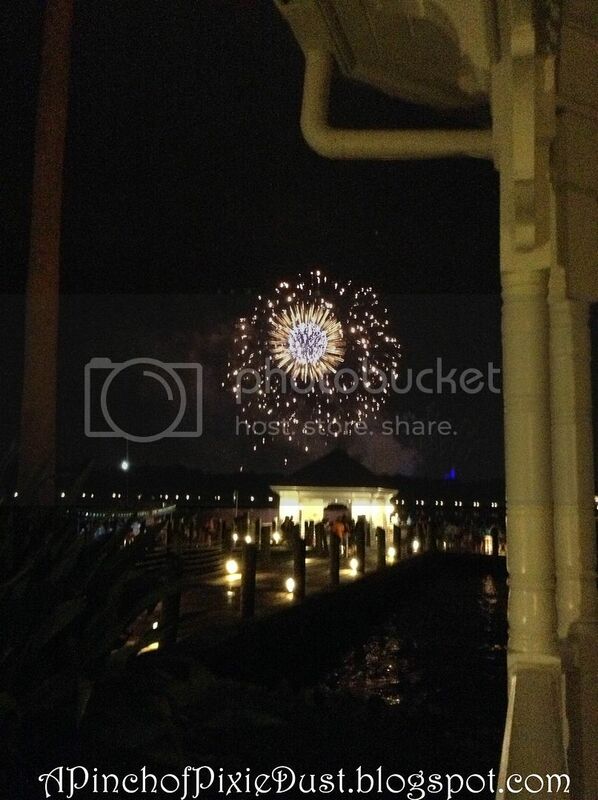 Or maybe she was just randomly taking a pic of her hand, lol! 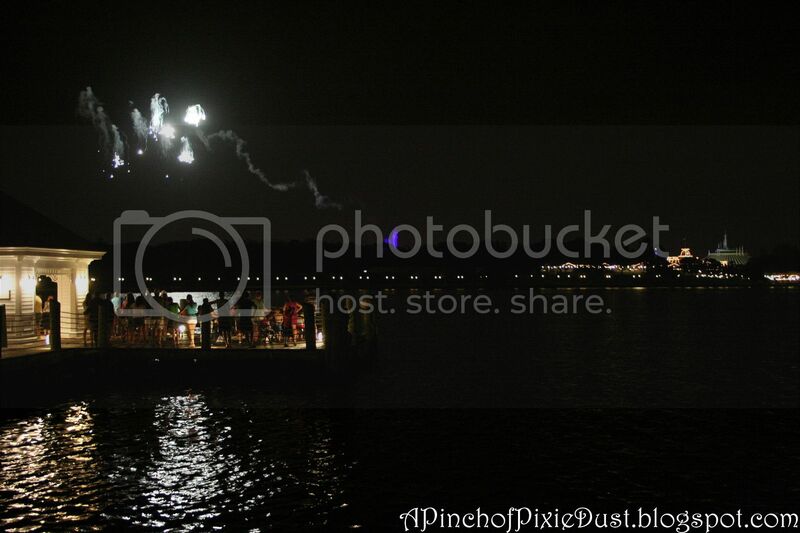 The view from the dock wasn't bad, but it was crowded. I might hang back closer to the Narcoossee's porch if I was watching from this vantage point, or walk around the Captain's Marina. But then it doesn't really matter what crowd or where you're standing when those big golden weeping willows go off. They are just GORGEOUS. 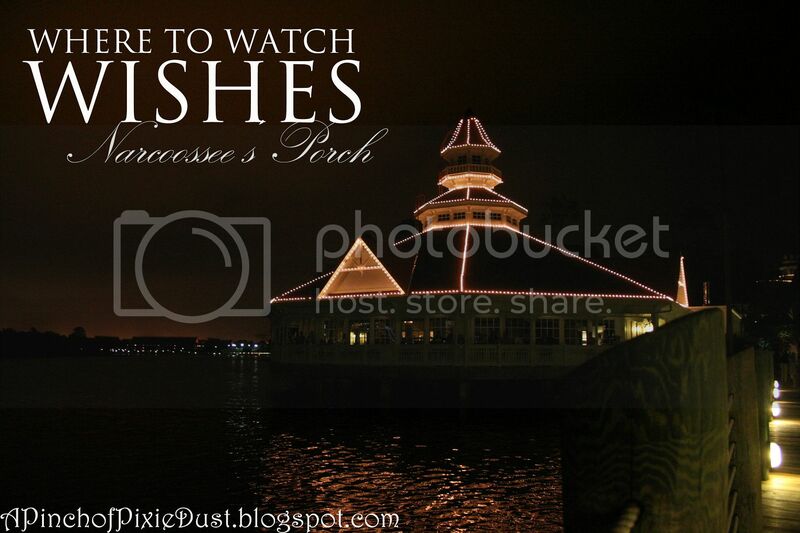 Have you ever watched Wishes from Narcoossee's? Share your thoughts in the comments! 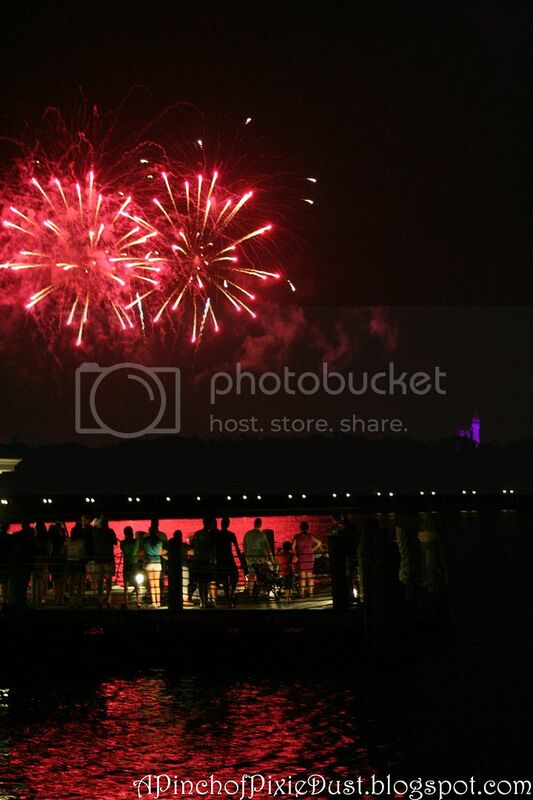 Great pictures of the fireworks! I think that couple did just get engaged. THey look sort of happy and in their own world.